I love Market Basket. It is the greatest supermarket. It has fresh delicious food, low prices, and happy workers who are treated well. They have name badges that say how long they’ve worked there, and it’s common for cashiers to have worked at Market Basket for longer than a decade. 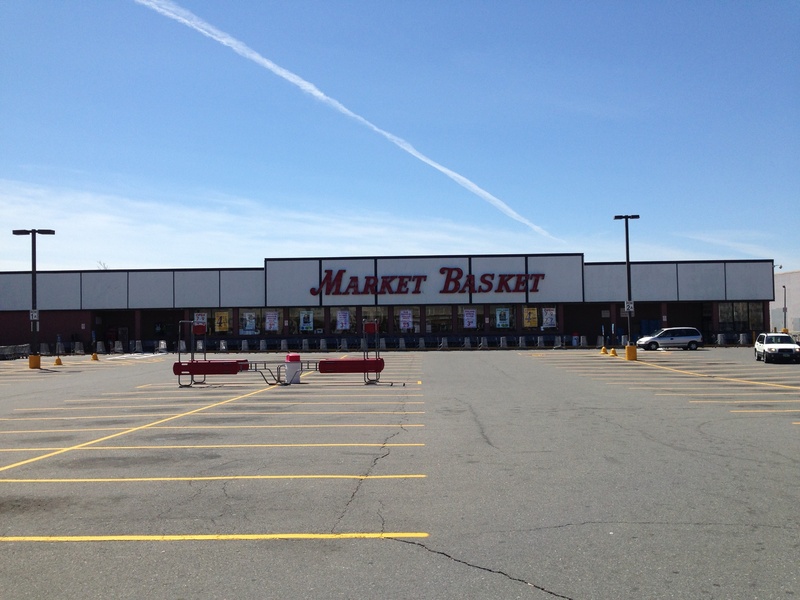 David took this picture on Easter, when Market Basket was closed. 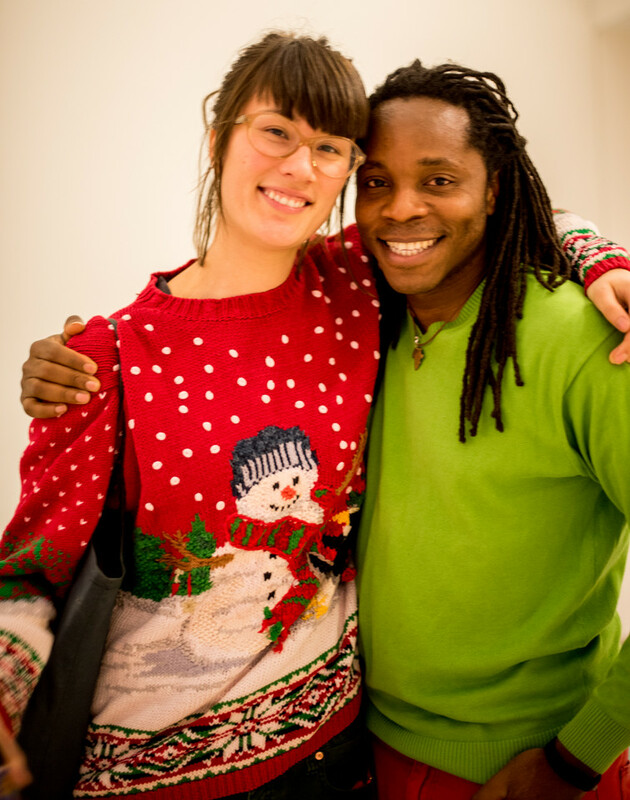 Guess what, if supermarkets close on holidays that means the employees get holidays with their families too! Also, it means we can use the parking lot to play bike polo. Sure, there are always shopping cart traffic jams, the check out lines are long, and they don’t always have exactly the same inventory. But there is a “Goya Products” section. You can buy fish heads. During blood orange season they have moro, sanguine, and cara cara. Their greens are never wilted, because there is so much turnaround. When they started offering beet juice popsicles last month, I thought it was the store speaking DIRECTLY TO ME AS A CUSTOMER. The same when they installed a second bike rack on the Pirateship side of the parking lot. They’ve been offering a 4% across the board discount to all shoppers for ALL OF 2014! Market Basket is a cultural intervention! A town meeting place! A support structure in defiance to corporate greed and the empty promise of a meritocracy! MY supermarket! For a while in the express check out lane (12 items or fewer) there was a sign that said “Do you have more than 12 items? Are you from Harvard and you can’t count, or are you from MIT and you can’t read?”. I’ve also seen a shopper with a yoga mat wander astray and block the steady flow of heavily laden regular-shopper shopping carts until a mother doing groceries with her 3 kids asked “Why don’t you go block traffic at Whole Foods, yuppie?”. I love Market Basket so much, and I didn’t even know why it was so great. 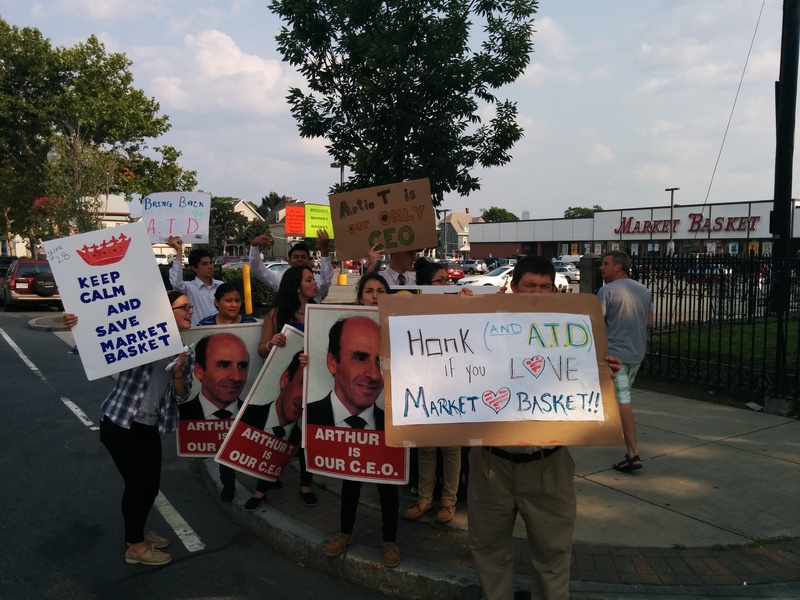 But apparently Market Basket had a beloved CEO called Arthur T. Demoulas who had been caring about the people who work at Market Basket and the people who shop at Market Basket, and he made it great. He was fired by a board of directors in some kind of family feud situation, and now Market Basket employees everywhere are protesting. I guess they don’t really care that he’s out of a job, I think they’re worried that without him, Market Basket will become just like any other soulless corporate greed supermarket. 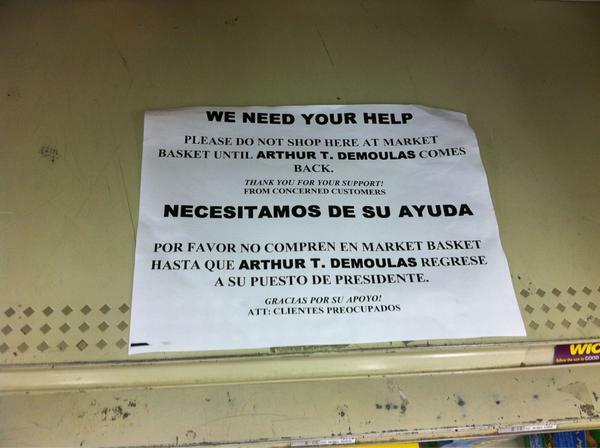 Well, I don’t know much about the difference between Arthur T. Demoulas and Arthur S. Demoulas (the new president from the other side of the family), but if the workers of Market Basket are concerned, so am I, and if the workers of Market Basket tell me to shop elsewhere until Artie T. is reinstated, I will. Thanks Market Basket workers! I support you! I went to HOPE X this year, the 10th Hackers On Planet Earth Conference organised by 2600, the hacker quarterly. It was in NYC next to Penn Station. I took the train. The train was great.